If a sweater sets a tone of high level detail we must share and this one does just that in a easy way. 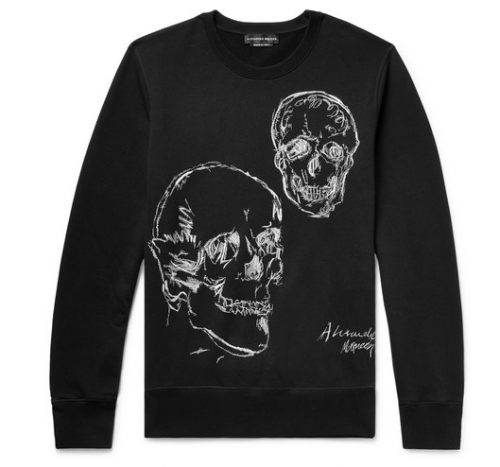 There’s nothing more ALEXANDER McQUEEN than the skull and this sweatshirt showcases the brand signature particularly well. This sweater is made in Italy from mid-weight loopback cotton jersey with crisply embroidered with contrasting white threads. Now if that’s all you need and want then go HERE to get.